Fake Plastic Tunes: Caged Animals "Eat Their Own"
Brooklyn based Caged Animals, originally a solo project of Vincent Cacchione (Soft Black), now played live as a family affair with Vincent's partner Magali Charron (as chantuese and ethereal orchestrator), sister Talya (bass), and childhood companion Patrick Curry (curating complementary beats). They recently released the track "Girls On Medication" with an accompanying video, which made its way to college radios across the country. Created out of mostly late night improvisation at home, "Eat Their Own" is set to release on September 27. 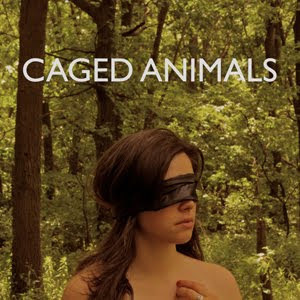 Caged Animals - "Girls On Medication" from Consequence of Sound on Vimeo.